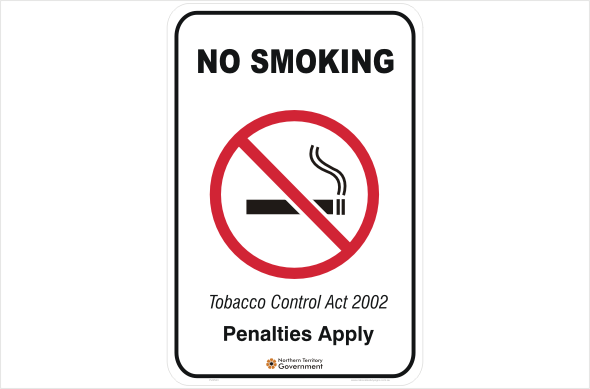 NT Smoking signs are made for indoor and outdoor and outdoor use. Choose what size you want and whether you need it reflective or not. Also choose your material. Steel is normally used on brick walls and fences, Aluminium the same but also poles. Polypropylene is food safe plastic, so it can be used in kitchens and laboratories, Corflute (or fluteboard) is mainly used for temporary signage. For glass doors etc. you may like just to use a vinyl No Smoking sticker.